We buy Australian lamb from Costco. It is always good quality and everyone in the family likes it. I was looking at the per capita consumption of various meats and it looks like chicken, beef, and pork are far more consumed by Americans than lamb. For beef, it is almost 70 lbs. to 1 lb. I wonder why that is. John grilled the lamb and I made the couscous with lots of extra vegetables. I added some veg to the broccoli as well. I love me some vegetables! 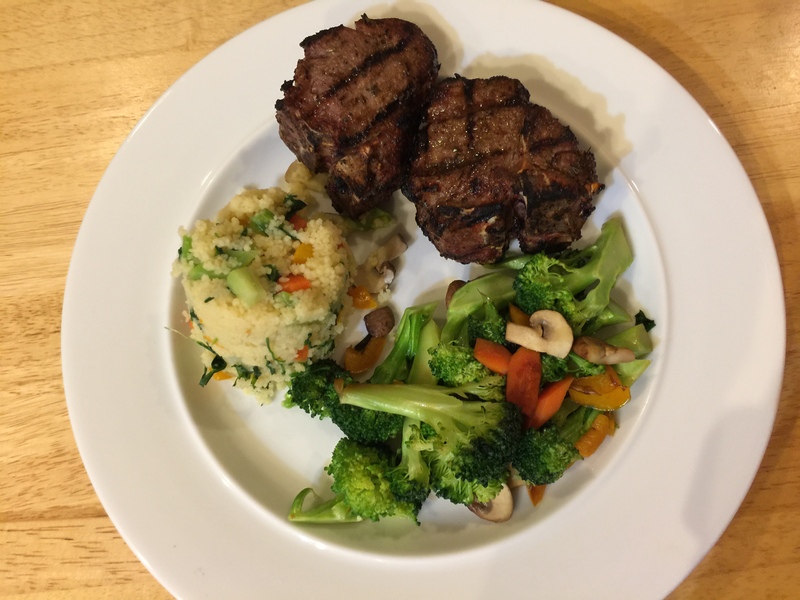 This entry was posted in Lamb, Vegetables and tagged broccoli, couscous, Lamb, lamb chops. Bookmark the permalink.